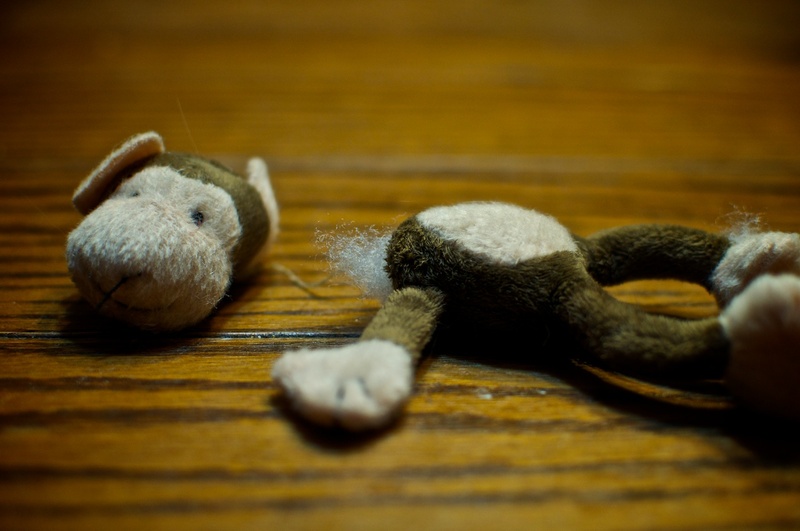 Today’s photo features one of Ginger’s once beloved toys – the decapitated monkey. Even though she doesn’t play with it much anymore, we keep it around as a reminder of her deadly and primal nature, and as a warning to all that this could happen to you… while you sleep. Posted January 22, 2013 at 10:46 pm in Photography, Project 365 and tagged 2013, photography, Project 365. Comments RSS. Post a comment.